Daily stages will either start and finish at Revelstoke Mountain Resort or a shuttle will pick you up at the resort and transport you to and/or from the start and finish of the stage. Please plan accordingly. The TranSelkirks Run course for 2019 is still being finalized. It will be approximately 100 miles (160km) over 5 days or 100K (62 miles) spaced out over 3 days. Daily distances may vary between 21km (13 miles) and 44km (27 miles). 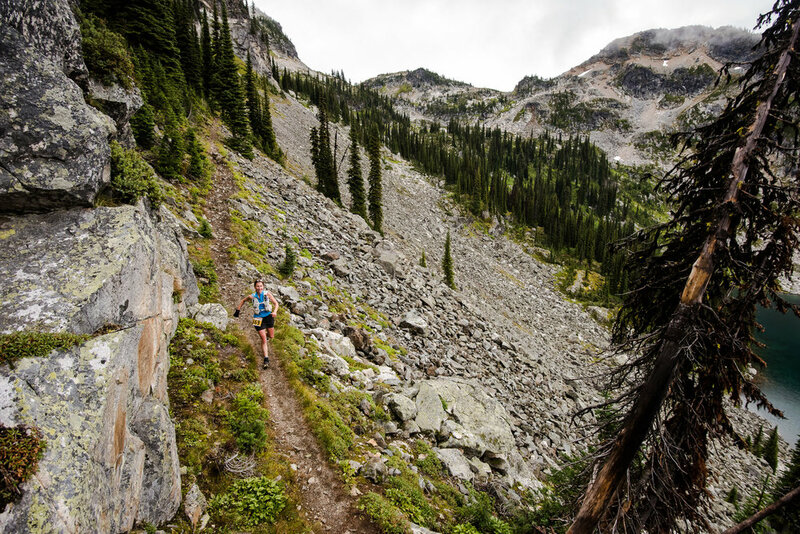 The course will cover a combination of single track trails, forest service roads, and ski runs that reach breathtaking views of snowcapped peaks and the Columbia River Valley below. We have teamed with Parks Canada and the other trail management groups in and around Revelstoke to access the best views, best trails, and best venues for you to enjoy. Be prepared for serious ascents and descents on technical singletrack trails and forest service roads. Each stage will be different and will provide its own set of challenges. Some stages are primarily rolling singletrack while others are steep ascents and descents to epic lookout points, peaks, and alpine lakes. Some sections will be difficult to run and may require poles, while others are very runnable. Our aim is to take you on some of the most diverse trails Revelstoke has to offer so that you can access the greatest views. MANDATORY CUTOFFS: For the safety of all race participants, mandatory cut-offs will be implemented for each stage. The longer, more challenging stages (currently stages 1 and 3) must be completed in 9 hours or less. The shorter stages will have shorter-time frames. PREPARATION: We encourage all race participants to arrive well prepared for the challenge ahead. Successful completion of the 3 or 5 Day event will demand fitness and experience on challenging terrain. We recommend completing at least a trail marathon or 50K in the lead up to the event. COACHING: If you need additional help preparing for the race, we recommend working with the coaches at Peak Run Performance who are familiar with the terrain traversed in the TranSelkirks Run and the demands of stage trail running events. * Due to ever changing wildlife restrictions, wildfires, and weather related trail closures, the following information is subject to change up until the day of each stage. CLICK TO ENLARGE - The first stage is held on Revelstoke Mountain Resort. But this is a bit misleading because the mountain you will be ascending is Mt. Mackenzie named after Canada’s second prime minister, Sir Alexander Mackenzie. The ski resort boasts the longest vertical descent in North America at 1713 m. You, however, will be climbing over 2000 m before you complete this first stage. Are you Really Stoked? CLICK TO ENLARGE - Before you ascend Mt. Revelstoke you will have a short tour of the history of skiing in Revelstoke. The 5 km Soren Sorensen loop is named after a Danish immigrant who created this cross country ski trail in the 1950’s and jumpstarted cross country skiing in the area. As you complete the loop look to your left and you will see the Nels Nelson ski jump area. This stadium held international competitions from 1915 until 1975 and was home to Revelstokian and world ski jumping record holder Nels Nelson. As you ascend the mountain you will be on the Summit trail one of the area’s oldest trails built in 1908. The trail continues to bring hikers and runners from rainforest (cedar and hemlock) to snowforest (spruce and fir) to no forest (subalpine wildflower meadows) near the summit. CLICK TO ENLARGE - Mt. Macpherson is home to over 30 km of cross-country ski trails, 55 km of mountain bike trails and access to numerous backcountry ski routes. If you cross the highway you will also find numerous rock climbing walls and a whole new set of trails to explore. On this day, however, trail running shoes will dominate the playground as you enjoy the verdent flowy, trails under your feet. 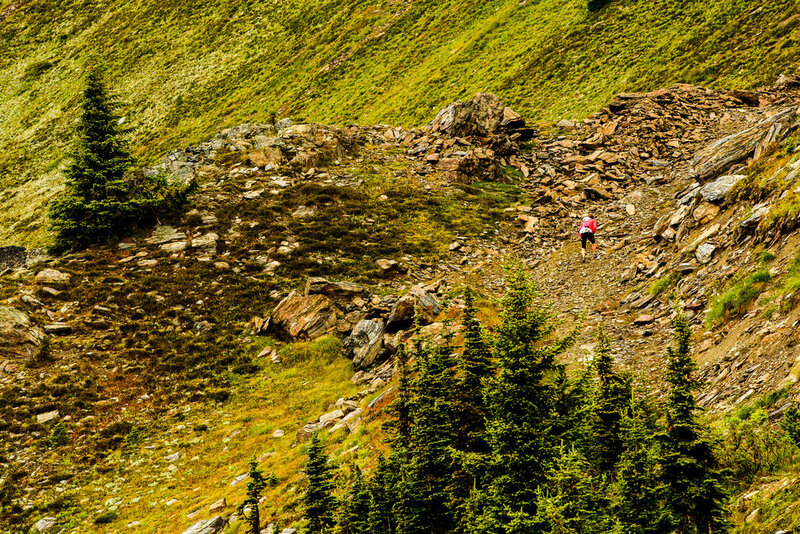 This stage is unique because you will be able to scamper along these well established trails entirely in the subalpine. And along the way you may either hear or see a few of the local inhabitants. The pika is a small rodent that looks like a rabbit without the big ears or legs. It can be seen scampering around the large boulder fields. However, you will most likely hear its loud “eenk” call before you see it. The Hoary Marmot is the largest of the ground squirrel family often nicknamed “the whistler” for its high pitched warning.Hopefully the scenery and realization that this is your last stage will have you whistling along as well. CLICK TO ENLARGE - The Cartier trail was built in 1920 to access a forestry lookout. As you run you may still see the archaic telephone cable emerging through the dirt below your feet that allowed communication to the town below. The lookout had a short life being decommissioned in the 1930’s. However the trail remains as a popular hiking and biking trail. Not many people think of it as being a running trail due to its steepness, however you have an opportunity to prove them wrong. Individual watches and mapping software will measure differently. Enjoy the views! *All routes are subject to change due to wildlife and weather concerns. Nightly meetings after dinner at Revelation Lodge are VERY IMPORTANT. Updated course maps and descriptions will be shared at these meetings. PREPARATION: We encourage all race participants to arrive well prepared for the challenge ahead. Successful completion of the 3 or 5 Day event will demand fitness and experience on challenging terrain. We recommend completing at least a trail marathon or 50K in the lead up to the event. COACHING: If you need additional help preparing for the race, we recommend working with the coaches at Peak Run Performance who are familiar with the terrain traversed at the TranSelkirks Run and the demands of stage trail running events. Due to ever changing wildlife restrictions, wildfires, and weather related trail closures and other unforeseen limitations, the following information is subject to change up until the day of each stage. 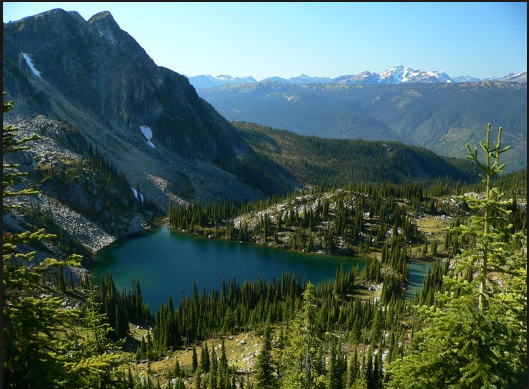 *Mount Revelstoke National Park is a natural wilderness environment which is subject to public access closures during emergency conditions, such as wildfires (including brushfires and lightning-caused canopy fires), flooding events and windstorms. Areas of the park may also, on occasion be closed due to the active management of grizzly bears. During the 2017 event, the race course was shortened due to the presence of unpredictable juvenile grizzly bears on the course. The safety of the public (including event participants) and protection of the park's bear population are Parks Canada's priorities, and the race may be postponed, shortened, re-routed or cancelled on short notice if circumstances require it.